Tired of the same old house plans? Then you’ve got to see these incredible new home plans from The House Designers! You’ll find everything on your must-have list, from a gourmet kitchen to the master suite of your dreams. Marry technology and comfort with smart designs that bring in the “wow” factor while remaining budget friendly! Sit back, relax, and let us bring your new dream home to you! Fresh off the presses! Check out our full collection of new house plans, all from The House Designers! Young families have fallen in love with House Plan 4705! It can be difficult to find the essential elements you’re looking for in smaller homes, but this home has it all! Vaulted ceilings are accented by beautiful beams throughout the open-concept main living space. Casual bar-style seating is found at the kitchen’s island, or you can cozy up next to the living room’s fireplace. Find ample closet space in both bedrooms on the home’s main floor. Plus, with an optional full basement, you can feel free to grow into this home and add the two suggested downstairs bedrooms! Looking for the ultimate family home? We’re proud to present House Plan 6846, with plenty of room for the whole family! Mom and Dad will live in luxury in their spacious master bedroom. With a five-piece bathroom and his and hers walk-in closets, they may never leave! The completely open-concept first floor keeps the family within earshot, while providing the perfect layout for hosting guests. Also on the first floor, you will be pleased to find a cozy den – often used as an office or additional bedroom. Climb the staircase to find two additional family bedrooms and a full bathroom, plus a spacious bonus room! 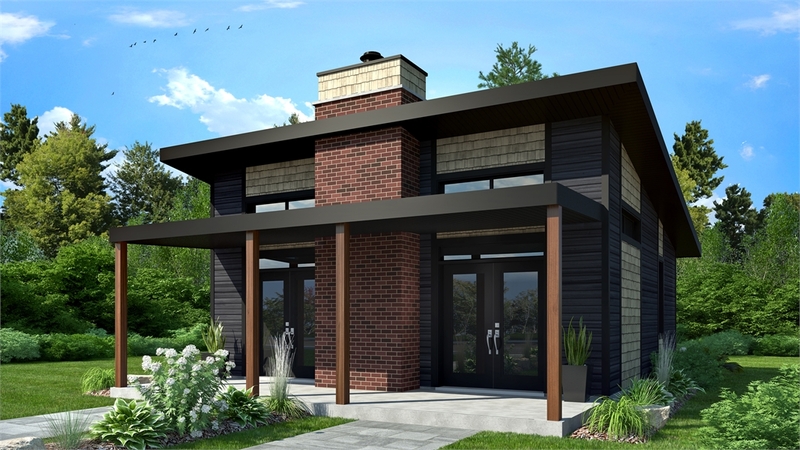 This tiny house plan (House Plan 4709) makes a statement with its sleek and modern curb appeal. Two bedrooms make the functionality of this home incredibly diverse. Our customers are excited to find this new home plan is perfect for a small family, a vacation home, or even for use as a guest house! From the home’s main living spaces, you’ll enjoy the natural flow of open-concept living, while a pair of elegant French doors invite you to take in the front-facing view. Plus, you can’t put a price on the beautiful abundance of natural light they let in! At the end of a long day, find your way to the fireplace for cozy quiet time with a good book or loved one. 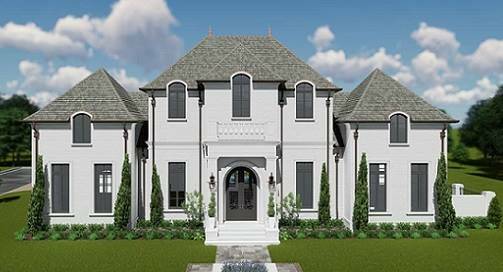 With its grand front entrance and symmetrical front elevation, House Plan 6902 creates an air of elegant Southern charm. A grand staircase welcomes you to the formal entryway. Continue on to the open-concept family room and kitchen, highlighted by a coffered ceiling above. We know that you’ll adore the master bedroom’s spacious walk-in shower! Also found on the first floor, you’ll see a formal dining area, incredible outdoor entertaining space, and a guest bedroom. Climb that elegant staircase to find a pair of Jack-and-Jill family bedrooms and ample storage space. 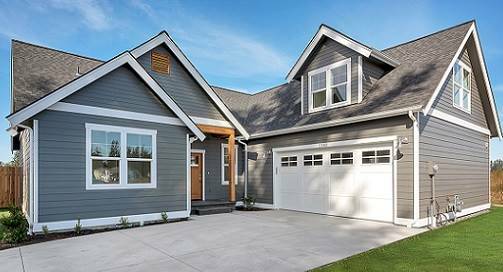 This is a must-see new home plan! 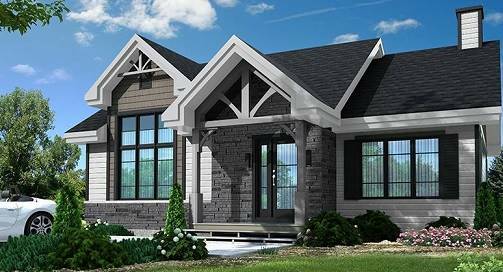 House Plan 6958‘s Craftsman-style bungalow facade will bring life to your new neighborhood! Guests will enjoy the welcoming front entry, while the laundry/mudroom acts as a daily entrance to keep clutter at bay. This is the perfect floor plan for hosting! With ample living room space that is open to the kitchen and dining areas, guests will mingle naturally. Enjoy a meal together in the well-lit dining area or out on the patio. With a split-bedroom design, the master suite receives well-deserved privacy, while two additional bedrooms are found on the home’s other side. Here, a full hall bathroom can also be found for children and guests. Go green with our popular collection of Energy Star House Plans! Think small, tiny even, with our collection of Tiny Home Plans – all 1,000 square feet or less! Do you have cost estimates for building these homes? Hello Clella, we do have a cost estimator for these, and all of our house plans! Please visit our home plan site, thehousedesigners.com to find our estimator on any of our home plan pages. If you have any trouble finding it, we have home plan specialists ready to live Chat each day. Or feel free to call us at 866-214-2242 for assistance.